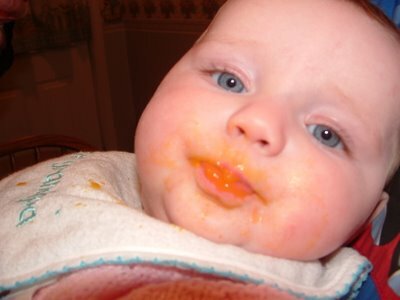 Although a little messy in the end, Michaela was victorious in eating her first meal of squash. Squash looks good on you. She's gorgeous...squash or no squash! so the thing with the deal at LU is in july right? Think I finally figured this thing out. Cant believe I have missed these glorious pictures of my great grand daughter.